At a time, when banks are burdened by bad loans and are too cautious to lend money, online NBFC startups have disbursed loans to thousands of borrowers worth hundreds of crores. Industry experts believe that stiff rules and too complicated loans processes in banks are shooing away customers from their doorsteps. And the turned away borrowers are easily getting loans from the new-age technology-based online lending companies. The case in point is LoanTap. The online funding platform is expecting build a total loan book of Rs 75 crore in the fiscal year 2017-2018. Satyam Kumar, an ex-banking professional who launched LoanTap in August 2016, said that ease of lending process and availability of a wide variety of products have drawn hundreds of customers towards the company. “Every individual has a different need. Thus, we work with each customer as per their needs. Besides, with the use of technology, we are also been able to customize at an individual level,” said Kumar, CEO and Founder, LoanTap. The Pune-based online platform provides eight different loans such as EMI Free loans, personal loans, credit card takeover loans, advance salary, rental deposits, wedding loans, holiday loans and premium bike loans at an annual interest rate of 18 per cent. During the loan set-up process, the customer gets various options to choose the preferred installment (EMI amount), which decides loan duration and product type. The installment chosen can be as low as 60 per cent of a regular EMI-based loan. In all kind of loans, the company allows closing the loan without any charges after six months. Normally, closing a loan within six months is not allowed, however, the company still allows it after levying a nominal fee of 4 per cent of the principal amount. The borrowers are mainly salaried people from service sectors, who have a monthly income of Rs 30,000 to 2 lakh per month, and normally take loans between a period of 4-5 years. The company claims to have reviewed the applications of around one-and-a-half lakh applicants and has offered loans to 2000 people. “We have witnessed a growth of 13.5 per cent month-on-month, based on the numbers of applications we receive,” said Kumar. LoanTap has raised a total amount of $7 million in the past two years. It raised its Series A round of funding worth $3 million from Mumbai-based HNIs Abhishek Pandey and a few others to fund operations in August 2016. In 2017, it raised another round of $4 million in Series B funding led by Kae Capital, India Quotient, IFMR, and MAS Financial Services along with angel investors. With these funds, the company had been able to expand its footprint to tier-1 cities. Kumar said that most of the other platforms in this sector are marketplaces. They simply generate leads from anybody willing to take loans and then they collate these leads and distribute to various lenders taking their eligibility criteria into consideration. Currently, the company is focusing primarily on upwardly mobile salaried professionals and envisions to penetrate deeper into this segment. Further, it plans to add more products to cater to its salaried customers in the top 10 cities of the country. Technology has made the entire lending process simpler, faster, and more transparent for all stakeholders. The fintechs are elevating the credit disbursement process, using artificial intelligence to track the history of customers and evaluate their likelihood to pay back the loan with enhanced accuracy. Capital Float, Wishfin, Indifi Technologies, Incred, Lendingkart, Flexi loans, Money Tap, and Credit Mantri, among others, are some of the alternative lending marketplaces pushing the envelope of tech excellence to make the process of accessing funds easier for individuals, professionals, and small business owners. The online lending startups such as Capital Float, Lendingkart, Flexi loans, Money Tap, CreditMantri, LoanTap, Rubique, Faircent, Early Salary, Red Carpet, Loan Frame and Credit Vidya collectively raised $138.6 million in 2017. By January last year, Capital Float had disbursed the loan of Rs 1000 crore and claimed to touch Rs 5000 crore by 2019. 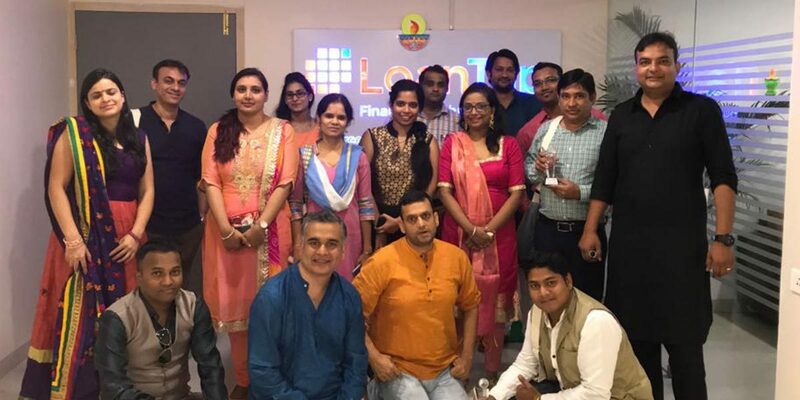 Lendingkart claims to have facilitated a disbursement of more than 20,000 loans across more than 850 cities in India, which counts more than 13,000 SMEs across 23 sectors. A few months ago, Faircent was processing around 300 loans per month, with an average loan size of Rs 1.5 lakh on a monthly basis, compared with 130 loans given in November and December last year. Experts say that there is a phenomenal growth prospect in this segment. Presently, a large number of online lending startups are primarily catering to the age group of 25 to35 years, who are familiar with the online world. However, there is another segment of the country’s population that is beyond 35 years. Considering the fact that IT has moved beyond laptops and is now on everyone’s smartphones, the industry is envisioning an exponential growth in this sector in near future.